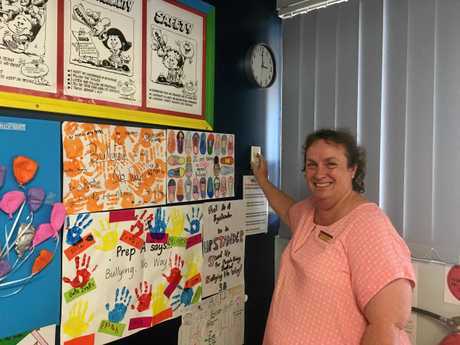 AFTER three decades of teaching, Chinchilla State School's beloved Kath Truscott is hanging up her whiteboard erasers. The learning support teacher comes from a family of teachers and said she couldn't imagine having taught anywhere else. "Both of my parents are teachers so I think there's a bit of a genetic disposition in me to teach and help those around me,” she said. 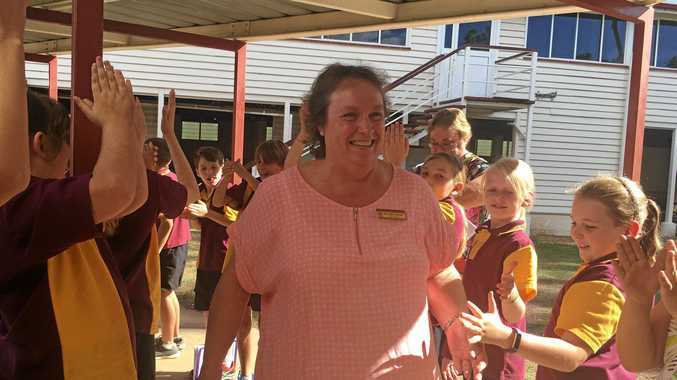 After 32 years at Chinchilla State School, Mrs Truscott has taught two generations of students, with the third not too far away. 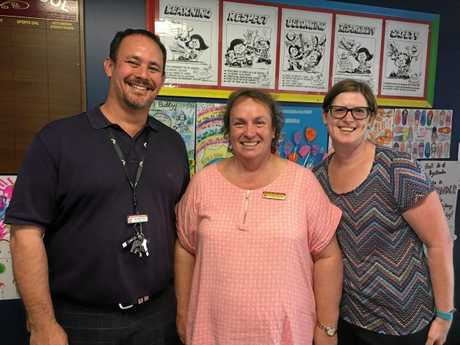 She also met her husband, Frank, through the school, and has been working alongside some of her first students, Phillip Gray and Melissa Verdon, who will be taking over her place as the learning support teacher. 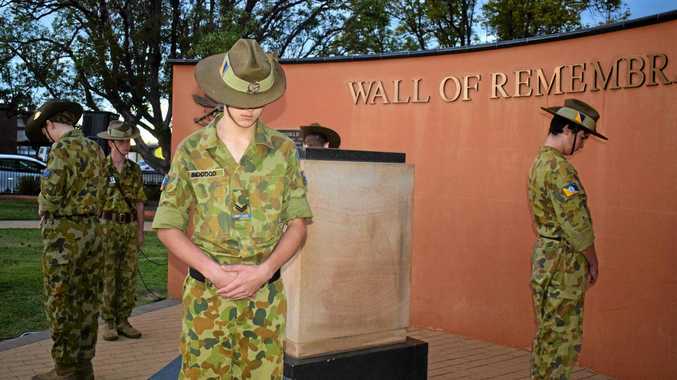 "(Mrs Truscott) was my Year 5 teacher back in 1989,” Mrs Verdon said. "One thing I'll always remember about Mrs Truscott, she always tried to make learning fun. "I'll never forget the world cultures unit we did where we got to dress up in our country's national dress and eat exotic foods. Mrs Truscott said not a lot had changed in the teaching profession in her 33 years as a teacher. "The school has shrunk and grown over the years but kids are kids and they stay the same,” she said. "They still need the same things, they still come to you with the same issues. As a young teacher, Mrs Truscott had decided she would only go out and do her three years in the bush as part of her country service. But she now happily calls Chinchilla home and is looking forward to seeing her students out and around town. "I've loved living and teaching in the country,” she said. "This school has become like a family to me and it will be quite hard to say farewell. "I'm forever seeing my students past and present at the supermarket or down town with their families. "It's nice knowing they remember you and want to say hello. Mrs Truscott said it simply felt like the right time for her to retire and was looking forward to more travel with Mr Truscott and getting back into some of her favourite hobbies that had been neglected over the years. As for advice for young teachers coming into the profession, she has some cracking words of wisdom. "You've got to have a real fire in the belly when it comes to teaching,” she said.